This is the simplest no code approach to the PowerApps image upload problem so far. Far simpler than with Azure Function, with custom connector, with hacked Flow button via Flow Studio, even simpler than Azure Blob Storage. All standard connectors so no premium required, and no risk of PowerApps trigger resetting and breaking the connection. Follow me on Twitter and catch the next live hack. I have a @MicrosoftFlow hack this evening to send files from @PowerApps to @SharePoint I have been thinking about this one for a while. So if you are still awake, follow along. First - I check the Flow button trigger. Double check SharePoint connector - I read this with FlowStudioApp - there's no method that takes format: byte. Everything wants format: binary. I spent a while looking through various standard connectors looking for something that does format: byte - I found one. In the Outlook connector. So we hack the PowerApps trigger. by using a totally unrelated connector. The argument sendanemail_attachmentscontent is ugly. Try using Flow Studio to rename them first before you go too far. This will also make the connection tidier when you take it over to PowerApps. PowerApps time - this is probably my simplest method. We need to keep the unused Send an email action even if we don’t use it - because it locks the PowerApps trigger in place so the trigger doesn’t reset. And there we have it - the absolutely simplest no-code solution to send a File from PowerApps to SharePoint with ease. We lock the PowerApps trigger to format: byte by using an otherwise unused Outlook send mail connector. I’ll be presenting at Difinity Conference 2019 Auckland on several presentations. Difinity is the largest Microsoft Data Platform conference in New Zealand. I’ll be presenting two talks - one on Microsoft Flow and one on PowerApps. This is a whole day workshop covering PowerApps and Microsoft Flow at a beginner to intermediate level, for the Difinity conference - the exercises are tuned for PowerBI integration. This session is about two things – it is firstly a thorough introduction about PowerApps, where it came from and where is it going. And it is also about how the sum is more than the individual parts – when we combine PowerApps and Power BI we can build some truly amazing more interactive reports & dashboards. This is a intermediate-advance level Microsoft Flow session that looks at the very different types of Flow automations that we can do. Whether it is personal automation, enterprise workflows, or developer webservices. Flow is that flexible tool. Those that have met me will know I’m a very chatty person! I’ll be hanging out at the community booths, so come find me, or tweet me and ask your Flow, PowerApps (or SharePoint) questions! I’ll be presenting at Microsoft Ignite the Tour 2019, Sydney on two Microsoft Flow presentations. Is a short 15 minute theatre session on expressions. In a short 15 minutes I’d like to cover why you might want to use expressions, and how it opens the entire Flow engine to your command. This is a full hour breakout session where I wanted to talk about what we can do with Flow, at the intermediate to advanced end and the power it opens up to every platform it touches. Whether it is SharePoint Online, Dynamics CRM, PowerApps or Power BI, from Microsoft 365 to Dynamics 365 to Azure. We have 250+ connectors and it is completely bananas for developer productivity. I’ll be hanging out at the community booths or at the SharePoint Gurus + Valo booth, so come find me, or tweet me and ask your Flow (or SharePoint) questions! Today, we are going to talk about a new technique (hack) to send any pictures from PowerApps to Flow. We will do this with a modified Flow Button trigger. I’ve came up with an EVEN EASIER hack that you should check out. The 2019 April method is the best one so far. Update 2019-03 there’s some JSON definition changes to the PowerApps trigger. See note below. Why John, what is the problem? Why do you repeatedly write the same post? 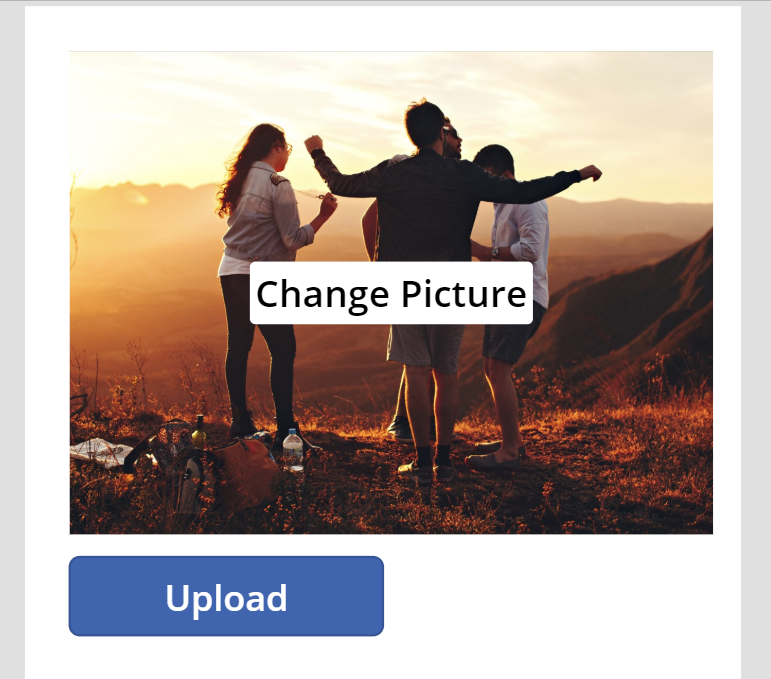 The problem is that we want to use PowerApps to collect binary files (mainly images, but also documents, video, anything) and send them to Flow - Flow can then decide where to send the pictures. To SharePoint, to Email, to Cognitive Services etc. This is a problem that isn't out of box, and has several good workarounds - some choices more difficult (or limited) than others. What have we got so far? This is the first method - we can send PowerApps' Camera to Flow via a built in dataUriToBinary() expression. But it doesn't work for Add Picture from device gallery. We also can't use this method for sending files - documents, zip, sound, movie clips. This method lets us use Add Picture from gallery and we can send any binary file formats. But the input parameter is specialized multipart formdata bytes, so this method needs a Custom Connection (need a Swagger definition file) to work with PowerApps. What is this new method? We are going to take a Flow Button and hack it into a PowerApps trigger to send Files from PowerApps to Flow. It will be magical. Because there will be no Swagger. We start with a Flow Button trigger - which lets us specify which parameters we want as part of the button click. Flow Button let us select File. Create FileName and FileContent compose actions to extract the value from the File trigger parameter. Then use SharePoint's create file to create this file. Test this Flow - upload a picture of LEGO 10234 - success. 2. Examine this Flow Button trigger and switch it to a PowerApps trigger. Next, we need to check the Flow button trigger and convert it to a PowerApps trigger. This can be done via Exporting the Flow, open up the export in ZIP file, and change the JSON definition of the trigger.manual.kind from "Button" to "PowerApp". But here I'm using a simpler way by opening the Flow using Flow Studio's Edit Flow JSON capability. Save the changed definition and this is now a PowerApp trigger. Note: Have a look at the JSON schema generated for the Flow Button's file trigger parameter. We'll need to know this later. Note - this is the Add Picture control. Not the camera control. Because our Flow is now a PowerApps trigger - it appears in the available list without us having to build a Swagger file. This matches what Flow Button wants for a file upload. Run the PowerApps to test. And the result - LEGO 851400 cup is uploaded to SharePoint via Binary. No Swagger. Eventually, I hope we have a way to officially define the input parameters we want to use in a PowerApps trigger. The way it currently works is awkward. It should just use the same way that the Flow Button trigger works. Until that day - this method is possibly the simplest way to send any binary files from PowerApps to Flow. Because this method doesn't need custom connections - you might find this useful in not hitting your Flow plan limit of 1 custom connection. Underneath the hood though, a Flow Button trigger is the same as a PowerApps trigger (they are both HTTP Request Triggers). Create multiple files first in Flow Button before converting to PowerApps trigger. The converted PowerApps trigger works, but you may find it troublesome to edit the Flow after it was changed. And attempts to use Ask Parameter in PowerApp Trigger within the Flow Designer will cause the PowerApp trigger to be regenerated, potentially breaking the file argument. Instead, do this. First make sure it is a Button trigger again. Note the two new string arguments in addition to the file JSON record object. In a little less than a month on August 15-16, I'll be presenting in Melbourne at the Digital Workplace Conference Australia 2018. (I still fondly remember this conference as the previously annual Australian SharePoint Conference - but all things evolve. SharePoint to SharePoint Online to Office 365, and the workplace evolved from portals to intranet to social platforms to conversational platforms). I personally don't know how much PowerApps and Flow raw potential would be in that room in the hackathon. I really want to find out and I hope you would too. Space for this is limited - please consider this one day pre-conference workshop. "Learn PowerApps and Flow from experts and build an app that you need." says John. "Two MVPs for the price of one" says Paul. I'll just leave this here. Whether at the conference, and/or the hackathon, I hope to see you there in Melbourne.